The Rare Action Network®, powered by the National Organization for Rare Disorders (NORD), serves to connect and empower a unified network of individuals and organizations with tools, training and resources to become effective advocates for rare diseases through national and state based initiatives across the United States. We stand for equitable access to timely diagnosis, treatment and care for every person impacted by a rare disease. 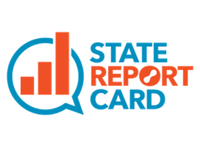 In this third edition of NORD’s State Policy Report Card we are seeking to expand our analysis to more issues that affect the rare disease community while also providing a more targeted analysis of policies analyzed in previous editions of the report. In terms of the expansion, the 2018 report has grown to cover several emerging issues, such as the enactment of work requirements within Medicaid programs and state adoption of “Right-to-Try” laws. This program was developed by NORD for volunteer state ambassadors to establish and build a strong grassroots network of rare disease advocates to help drive advocacy for increasing awareness of rare diseases and the challenges faced by individuals and their families. Ambassadors help achieve these goals by leading advocacy efforts in their state and local communities. They do this by building a strong grassroots network of rare disease advocates within their state and collaborating with other advocates on advocacy, awareness and educational outreach programs. Become a rare advocate today to unlock resources to connect with other members of the rare disease community within your state, attend local events, meet and build relationships with key decision-makers and opinion leaders, and receive breaking news and updates on Calls to Action.